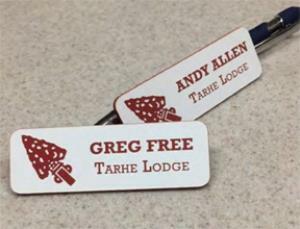 Show your lodge pride and identify yourself with our new Tarhe Lodge name badges. Your choice of clutch back or magnetic back. Quick delivery. Only $7 each!